The Queer Tango Book - Ideas, Images and Inspiration in the 21st Century edited by Birthe Havmoeller, Ray Batchelor and Olaya Aramo was published in March 2015 by The Queer Tango Project as a free ebook in English. We are now sharing a Spanish translation of the Introduction of this landmark publication... Read more. Mikhail Kapitskiy has made a translation into Russian of the article Los Laureles: Queer Tango for Everyone in the Barrio de Barracas by Ray Batchelor and Olaya Aramo from The Queer Tango Book – Ideas, Images and Inspiration in the 21st Century. Лос Лаурелес: Квир-танго для всех в Баррио-де-Барракас © Рэй Бэтчелор и Олайя Арамо Пер. с английского Михаила Капицкого … Read more. Video (4:24): Soledad Nani and Marina Ventarron performed to the beautifull melody "Milonga para una Harmonica" by Hugo Diaz at The Queer Tango Club's Queer Tango Festival July 2015. Marina Ventarron and Anna Morisot - "Darsena Sur"
Video (3:36): Marina Ventarron and Anna Morisot performed this Queer Tango at the Queer Tango Club's Queer Tango Festival in St Petersburg July 2015. Music: Darsena Sur by Juan Carlos Caceres. 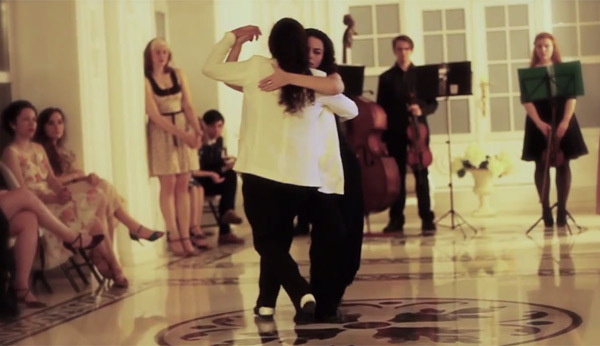 Video: Queer Tango Club. 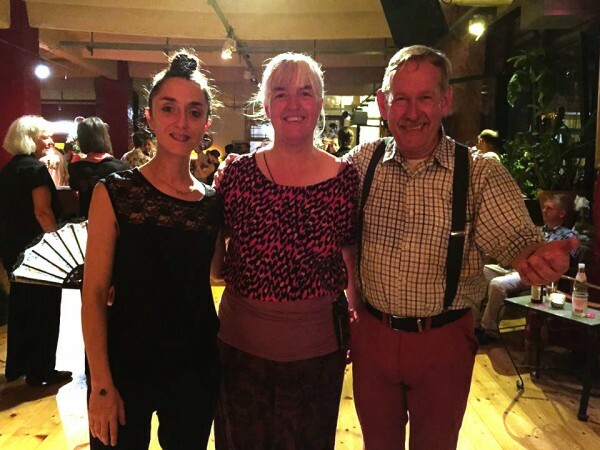 Video (7:44): Muné and Miranda performed together with Astrid Weiske at the opening milonga of the 5th International QueerTango Festival in Berlin, July 2015. A rough video © Birthe Havmoeller, Denmark, 2015. Juan Pablo Ramirez and Daniel Arroyo - Berlin 2015 . Video (15:23): Juan Pablo Ramirez and Daniel Arroyo from Buenos Aires performed at the Gala night of the 5th International QueerTango Festival Berlin 2015. Venue: Heilig-Kreuz-Kirche, Berlin, Kreuzberg, Germany. Festival organiser: Astrid Weiske, Berlin. Video: Birthe Havmoeller, Aarhus, Denmark. 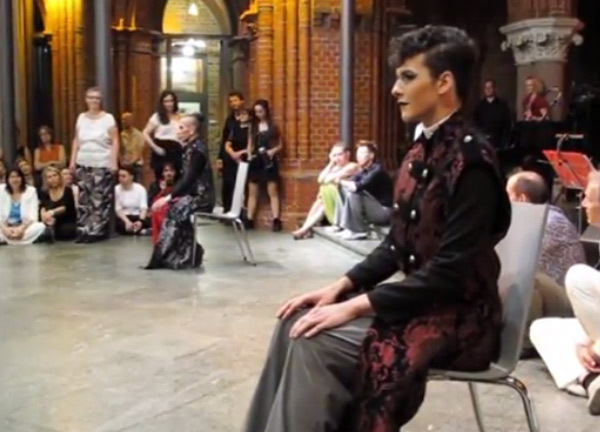 Berlin 2105: Tango Class – Queer Tango as ensemble performance? Article by Ray Batchelor. Photo courtesy of The QueerTango Festival in Berlin and Ksusha Ivanova. It cannot be anything other than an honour to be part of a performance piece to be produced at lightening speed by Brigitta Winkler (...), and Marc Vanzwoll... Read more. 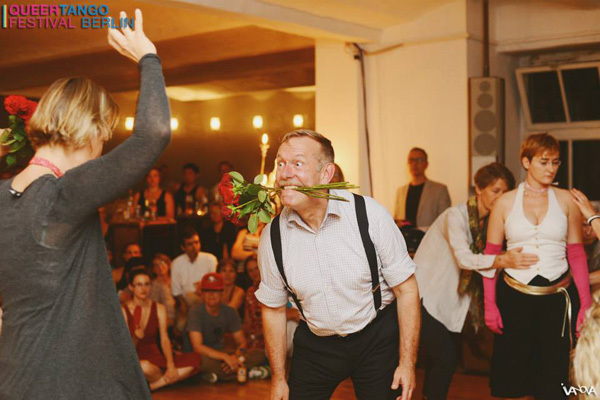 The Queer Tango Project presents with 22 photos by Birthe Havmoeller from the Gala Milonga, the Farewell Milonga and a guided practica by Mune and Miranda at the 5th International QueerTango Festival, Berlin 2015. Read more. The registration is open for LEU TANGO WEEK (LTW) 2nd EDITION which takes place at Saint-Leu, Reunion October 19 - 25, 2015. San Fede writes: Hi guys ! after the extraordinary QTF Berlin, join us in the indian Ocean for this Queer friendly festival ! Where is Reunion Island? in PARADISE ! Read more. Invitation from Festival Internacional de Tango Queer En Buenos Aires 2015. The registration is open now. Read more. 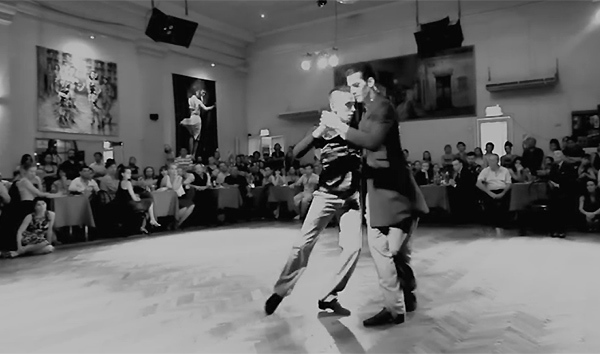 Video (4:42): August 1st, 2015, Saturday night milonga at Tango Element Baltimore 2015, Martin Maldonado and Maurizio Ghella dance their first dance, an excellent Queer Tango... Read more. Mujercitas Tango Festival 2015 - The Leading Ladies of Buenos Aires! Video (6:04): Daniel Alejandro Arroyo Miranda and Juan Pablo Ramirez. 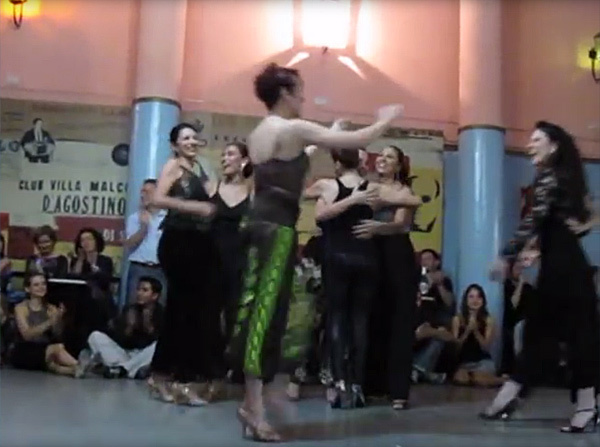 The dances 1-3 of their show at Salón Canning - Milonga Parakultural, 10.02.2015, Buenos Aires. Video (3:05): a Queer Tango performance by Yazmin Garnelo & María Julia Rodríguez Sivera, Mexico, 2015. 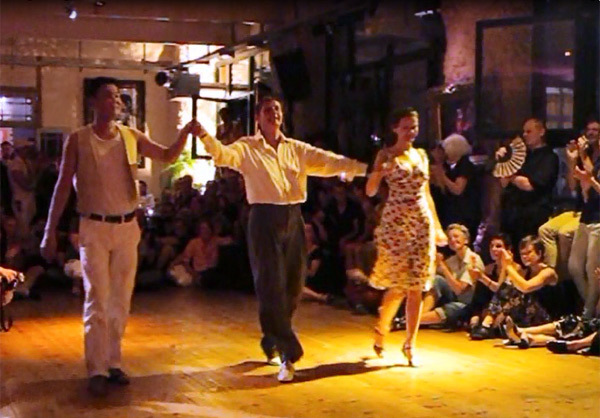 Video (2:53): Tango Con*Fusión performing at Lady's Tango Festival 2015 in Buenos Aires, Argentina. 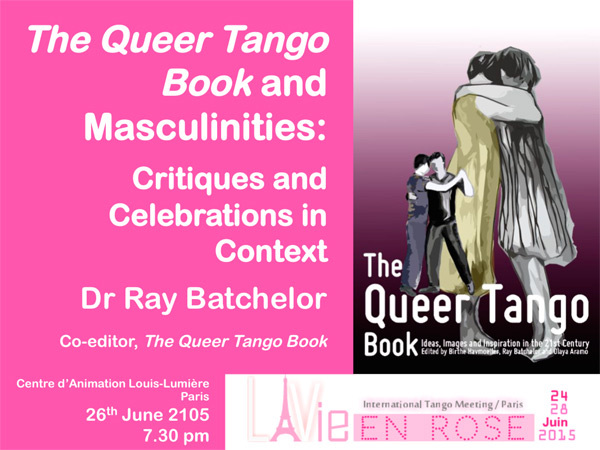 Video: (1:18:37): The Queer Tango Book and Masculinities: Critiques and Celebrations in Context is a lecture given by Dr. Ray Batchelor, co-editor of The Queer Tango Book at the Queer Tango meeting, La Vie en Rose in Paris, France, June 2015. - On the basis of the evidence of the evidence of The Queer Tango Book, to what extent is … Read more. 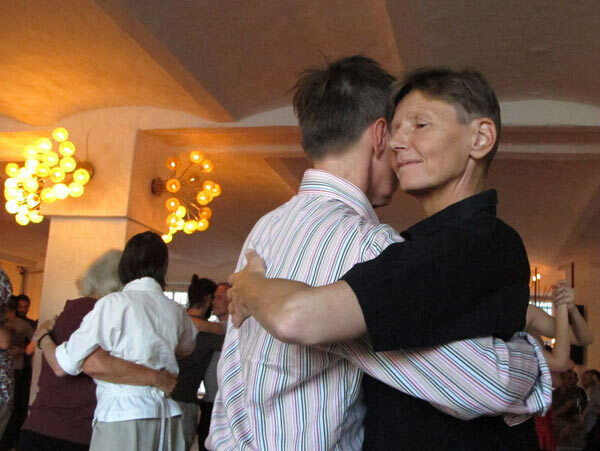 We hope that you will tell all your tango friends around the world that they are welcome to download a free copy of: The Queer Tango Book - Ideas, Images and Inspiration in the 21st Century, edited by Birthe Havmoeller, Ray Batchelor and Olaya Aramo -- at www.queertangobook.org.